I can not change or attach the Magazines, sight, armstock are not attatchable. This bug is allways there and I can only change the magazine through Scrolling. Also the texture of the M4A1 does not update after attatching the magazine. Bohemia set Category to category:weapons. well that's odd. because most of the time me and my friend can't change hand guard unless we have another to swap with. try verifying integrity of game cache through steam, if that does not fix it try reinstalling. this seems like a PC specific problem. The only issue most people run into is being unable to remove the handguard of the m4 unless they have a second one to swap it with. In order to add anything special to the rifle (flashlight, bipod, etc) you DO need the specific handguard that is a pictinny rail. That allows for mulitple other attachments. After I "verified integrity of game cache" it still does not work I reinstalled it allready and I updated some Pictures. have you tried right clicking the pieces as opposed to just drag and drop? also, what is the state of the pieces? if they are "ruined" that may also be why. When you scroll on the gun you want the parts from you need to disconnect the parts first, this can be done through scroll. Then to change the parts take the part into your inventory and then drag onto the gun. This works for me. I hate to say it, but this is an individualized issue and not a game glitch. It's perfectly functional and you must be doing something wrong, as i do not know anyone else who has this issue. Yes I where searching this problem everywhere. I will come after newyear back to my hostfamilie (where I still have my laptop) and will test if it is still there... if yes it must be a Problem with my account. Does anybody have any Idea how to fix it ?? For example I would drag and drop a part on and it would change successfully but once 1 part has been dragged and dropped the drag and drop feature stops functioning and you can only change attachments via right clicking at that point. @iInsanityx09: Gotcha, sorry for any confusion. Luckily I found a damaged handguard sitting around and a pristine m4 sitting around as well...so I just swapped my MP handguard with the damaged one, picked up the mp handguard and ditched the m4, then went over to the pristine m4 and swapped out the plastic handguard for my pristine mp one and voila! Got lucky that time...but next time I need to, I'll try your steps. Thanks again for the info. The only other times I've tried is with the pristine m4 on the ground, and tried swapping with my m4 that was in my inventory (not in my hands). I know it's an issue, but you CAN swap two already attached handguards. I've done it. It's just as I have described it to you. If that doesn't work for you, holster your weapon on your shoulder and take the second m4 into your hands and try swapping them then. But I'm TELLING you, it IS possible to switch them out. I'm only trying to help you, I still would like for the issue to get fixed. Also, merely dragging/dropping won't work in this instance. You have to right click the attached handguard and select the "swap handguard" option. I hope this helps you in your endeavors. Situation #1: You have an M4 in your inventory with a damaged handguard, and you find another M4 on the ground with a worn/pristine handguard on it that you want to swap it out with. Dragging the handguard from one weapon to the other does not allow for swapping, and you cannot drag either handguard off of either of the weapons. Situation #2: You have an M4 in your inventory with a damaged handguard, and you find another handguard just laying on the ground that is in worn/pristine condition. In such a case you can drag the lone handguard over to your M4's handguard and choose to swap - this works fine. So, again, the problem that is a *known* issue is that handguards that are currently attached to weapons cannot be removed like any other component. They can be swapped if there is an unattached handguard laying around, but they cannot be swapped with another already-attached handguard. Make sure you have the weapon in your hands that you want to put the new handguard onto. 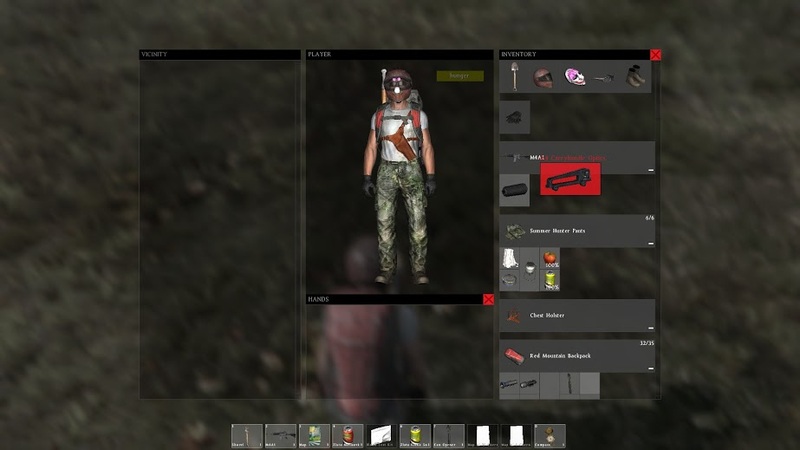 The weapon with the new handguard should be on the ground within reach so it shows up in your vicinity tab. If it's a handguard you found on the ground (not attached to a weapon) then keep it in your inventory. From here all you have to do is right-click any of the aforementioned handguards and click "swap handguards" and it will swap them out for you. I have the exact reverse as this - cannot remove attached handguards. Everything else is fine. However, I think this is a known issue. Here I am back at my old computer and noticed that not even the Weapon Model gets updated. I have also duplicated the issue of not being able to attach certain things to the M4. Tried both methods, drag and drop and right click. The target M4 was in my hands and the attachments where in my inventory. 556 suppressor, CompM2, RIS rail, flashlight for RIS rail and magpul stock. I am not able to attach anything to the M4. Now here is where it gets fun. I have a friend online and I drop all the stuff and he is able to attach everything (and see it on his screen) but I can't see it happen. i.e.. I see the stock M4 with no suppressor or anything attached in his hands. Even when he hands it back to me I see the stock M4. Then my dayZ app crashes. Multiple times as long as I'm near that (now modified) M4. Even if my friend has it in his hands. Once he has logged off with it I can play for hours. As soon as he logs back in Dayz app crashes. We have narrowed it down to what looks like a corruption of weapons_infantry_assaultrifles.pbo or weapons_firearms.pbo. Once I remove these files from my side (which don't seem to be detected by multiple runs of verify) I no longer have the Dayz app crash and can play for hours. But I no longer can see any M4 or SKS rifle at all in the game. So bottom line it looks like client side file corruption and replacing the .pbo files or a fresh install would clear it. 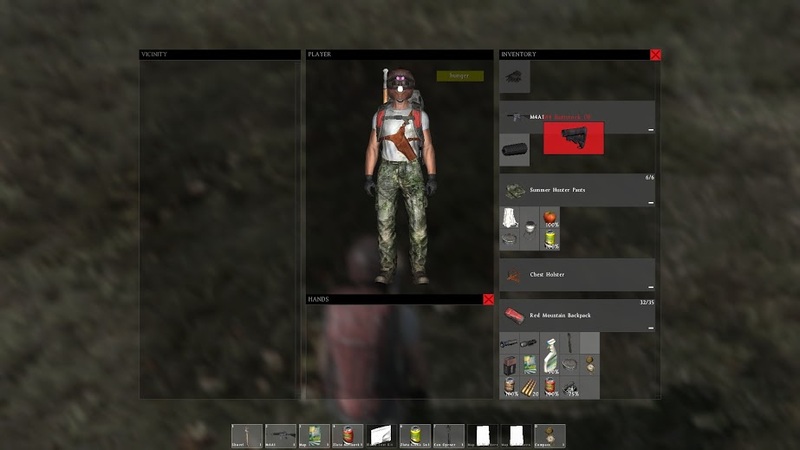 This also ties back in to http://feedback.dayzgame.com/view.php?id=9886 which is the SKS being seen as a Winchester 1866. A problem I also had. Hope this helps. Also before someone asks I've tried this with a dozen M4s and none of them work. Also all pristine attachments were used except for the suppressor. Could this be due to desync/lag? This is a constant thing over more than 50 hours of game play. Lag or desync would be more transient. Please close this ticket as obsolete.